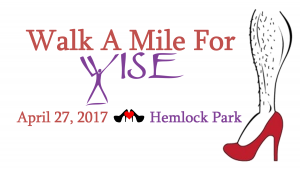 Walk A Mile For WISE - WISE - Women's Information Service, Inc.
We’re looking for a few good men (and women) for our first-ever Walk A Mile For WISE event on April 27. Join us at Hemlock Park and strut your stuff down Michigan Avenue in your favorite high heels in support of Sexual Assault Awareness Month. 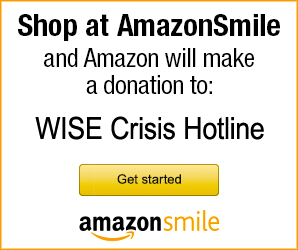 All proceeds from this event benefit our mission at WISE. Walkers are asked to wear fun apparel and their finest feminine footwear — high heels encouraged, especially for our male supporters. Registration opens at 5 p.m. Walkers take off at 6 p.m.
To download a flyer and sponsorship registration form, click here.